The need to detoxify your life is a direct result of an overworked, overscheduled and overwhelmed lifestyle that has (somehow) been accepted by most people as ‘normal’ and ‘fact-of-life’, which is far from the truth. We have less time, while taking on more responsibilities. Materialism and consumerism have also had toxic effects. It’s commonly accepted as truth that buying more leads to more happiness. Changes within industry, business, and finance have systematically altered our way of life. We acquire more stuff, get into more debt, and work longer hours now than at any other time in history. Yes, consumerism has often led the way when it comes to toxic behaviors…but it’s certainly not the lone culprit. Here are 9 other signs that it’s time to detox your life. The presence of negative people has a draining effect on our psyche. These are the individuals who are constantly judgmental, critical and even abusive. No matter the situation, it always seems that this person has something negative to say. If that negative person is rubbing their toxicity off on you, it’s time to rectify the situation. Understand this: it’s not your responsibility to bear the brunt of this person. You have the right to live a positive, happy life without negative influence from others. Don’t talk to or about them, don’t visit their Facebook page, don’t text, email or write; in other words, don’t have anything to do with them. Is this difficult? 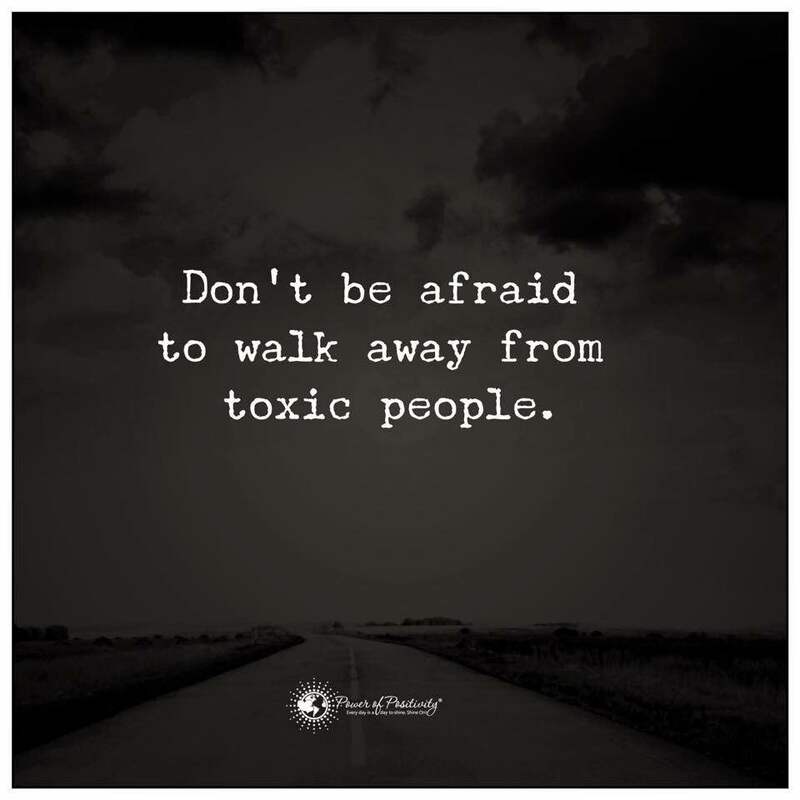 Yes…but not as difficult as that toxic individual. It’s amazing how many people do not have a monthly budget! When you have no budget, you have no idea how that check is supposed to be spent. There are free spreadsheets available online, apps for your phone, or just use the old fashioned pen and paper. Another telltale sign that you’re spending too much: excessive use of credit cards. One way to tell is comparing your balance with your available credit. Is it more than half? If it is and you don’t have any plans to pay it off, then you’re spending too much. Don’t spend more than you earn, folks. No need to state the obvious, but the body can become full of toxins. This often happens when we consume too much unhealthy food, drink too much alcohol, or don’t get enough exercise. – You can’t fall asleep and night, or have excessive difficulty getting out of bed in the morning. – Your skin is consistently breaking out. – You get sick often (1-2 times a month). – You don’t sit down often for a meal; perhaps stopping at fast food joints instead. – You can’t concentrate on your work. – Your body often feels sore, stiff, or painful. The solution? Eat right, get in some (any!) exercise three times a week, and get at least seven hours of sleep at night. Physical clutter competes for your attention, decreases performance and increases stress. Do your home, desk and brain a favor by getting rid of it. Technology certainly has its role. Advances in technology have resulted in medical advances, educational improvements, scientific discoveries and more. But it’s had a negative impact on our actual connection with each other. Families drift apart, parents bring their work home, kids tap away on Facebook instead of opening their textbook. There’s no real presence of mind with excessive technology use. Be mindful with how and when you use technology. Society has placed a premium on the ability to socialize to meet demands placed on both inside and outside of the workplace. Those that value solitude are often seen as outcasts or selfish. There is nothing further from the truth. In fact, solitude is a necessity. – Allows your brain to rest. – Calms down your emotions. – Gives time for contemplation and reflection. At minimum, try to take 15 minutes to yourself at some time during the day. – The brain is physically incapable of doing more than two things at once. – Multitasking is slower and less efficient. – Multitasking is more stressful and less productive. Single-tasking – concentrating the mind on one task at a time while minimizing distractions – is the one and only answer. Please understand that minimizing or (even better) eliminating distractions is necessary while single-tasking. For most of us, our job is a necessity…it’s a paycheck. We punch in, do our eight hours the best we can, and get out of there. Searching for and finding the ideal job is a luxury that most of us do not have. That being said, if your work affects you to a point that it complicates things outside of scheduled work time, whereby thinking about work you: can’t sleep, fight with your spouse, irritate your kids (or vice-versa), have emotional breakdowns or something else, it’s seriously time to consider a job change. If for some reason you can’t change jobs, try changing the environment. For example, if there’s a co-worker that doesn’t leave you alone, consider getting some earplugs. If you can’t stand your boss, look into a transfer. Try finding something that will make your time at work more tolerable.